Take control of the seasons and use them to solve puzzles, defeat enemies, and discover the beautiful world of Valdi in this award-winning indie adventure. 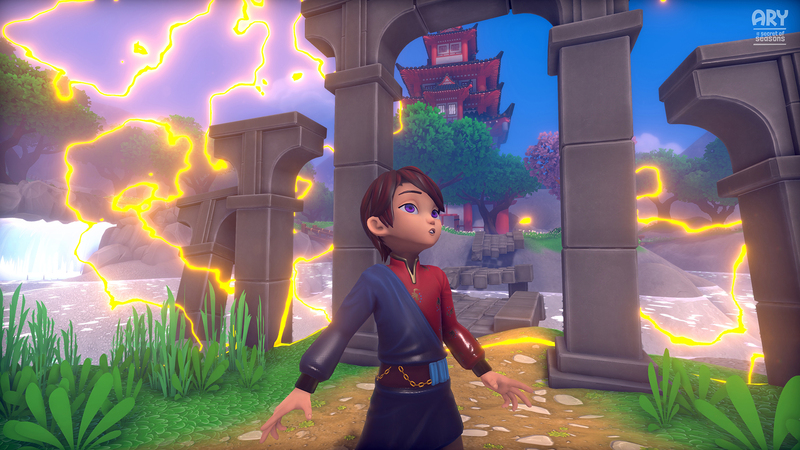 The success of titles like A Hat in Time shows how much players treasure games that invoke the bright and playful atmosphere of 3D platformers from the 90s. And from what I’ve seen so far, Ary and the Secret of Seasons is a title that encapsulates the vibrations of the 3D platformer era near perfectly. The synopsis is simple: you play as a ten year old named Aryelle (or Ary for short) who recently lost her brother — he disappeared and is currently presumed dead. Her father has fallen into depressed and both parents have become very protective. Meanwhile, Ary’s homeland, normally a place of eternal winter, has become one of spring. So she sets out on a journey to speak to one of the Guardians of Seasons and get to the bottom of these strange happenings. This eventually gives way to the meat of the plot, which is that Ary is recruited as a Guardian of Winter to defeat the evil forces that are changing seasons throughout Valdi. Ary and the Secret of Seasons is shaping up to be a Zelda-inspired action/adventure which can actually hold a candle to its obvious inspiration thanks to strong mechanics, stunning visual design, and innovative gameplay systems. 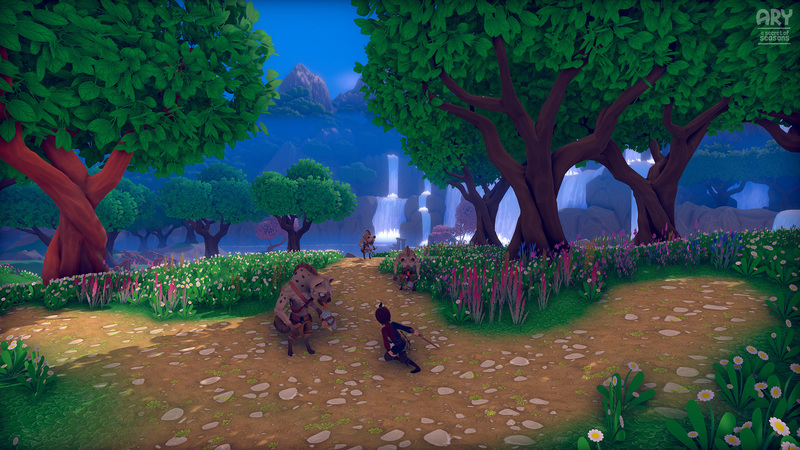 There are no shortage of games inspired by the iconic Legend of Zelda franchise, but a new title from Belgian indie studio eXlin looks like it might have what it takes to truly stand peer-to-peer with classics like Ocarina of Time. The demo begins with Ary in her home, which remains emotionally devastated by the loss of her brother. Ary's father is practically catatonic with grief, a theme which Sebastien promises will be explored in the full game, though it's not the focus of this demo. Nevertheless, even in a non-story setting, the world is rife with personality, while Ary herself is charming and relatable; steadfast and determined, but also curious and even a little goofy, she has all the makings of a timeless video game hero. Journey across the magnificent world of Valdi! Ary and the Secret of Seasons is an award-winning adventure game following a young girl named Aryelle, or Ary, as she journeys across the great world of Valdi. By becoming the Guardian of Winter, Ary gains the ability to manipulate the seasons around her. Ary will learn to control the seasons and use them to defeat enemies, overcome obstacles, and solve complex puzzles on her adventure across Valdi. Long ago, the world of Valdi was threatened by an evil mage. After a great struggle, he was defeated by the Legendary Warrior and sealed inside the Vault, imprisoned for all eternity. To ensure the mage's imprisonment, four great sages swore to keep watch and protect the Vault. They formed the original Guardians of Seasons, a secretive organization now steeped in history and legend. After a mysterious force throws the seasons of Valdi into disarray, Ary decides to assist the Guardians of Seasons and sets out to find the source of the mayhem. Using her wits and courage, Ary will have to overcome monstrous enemies, secret plots, and stuffy traditions to save Valdi and bring balance to the world once more. Rewarding exploration. Harnessing the power of the seasons, Ary can traverse sweeping landscapes in search of new destinations, solving amazing environmental puzzles to progress. Captivating storytelling. Ary is recruited to help the Guardians of Seasons, an old organization caught up by rigid traditions. As she ventures through uncharted locations across Valdi, Ary will discover secrets and hidden meanings behind the Guardian of Seasons. Dynamic environments. Manipulate the world around Ary with her environmental powers. Leap between ecosystems to bend the world and seasons to her needs. Fluid combat. Ary’s skills will be put to the test as she encounters foes looking to thwart her progress – from local inhabitants to hulking behemoths, she will use all the tools at her disposal to overcome monumental obstacles. Alluring 3D world. A beautiful visual style combined with an enchanting soundtrack creates a lingering atmosphere that will surely become a memorable gameplay experience.